Arpita Srivastav is a beautiful talented actress and model of Bollywood. 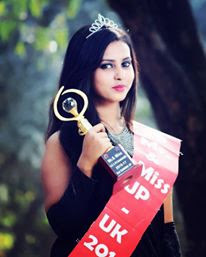 She got a title of miss Uttar Pradesh and Uttarakhand and runner up of Miss Gandhi. Arpita Srivastava started her filmi career with short film "Aatmhanta" and till now she worked in many Hindi movies and albums.